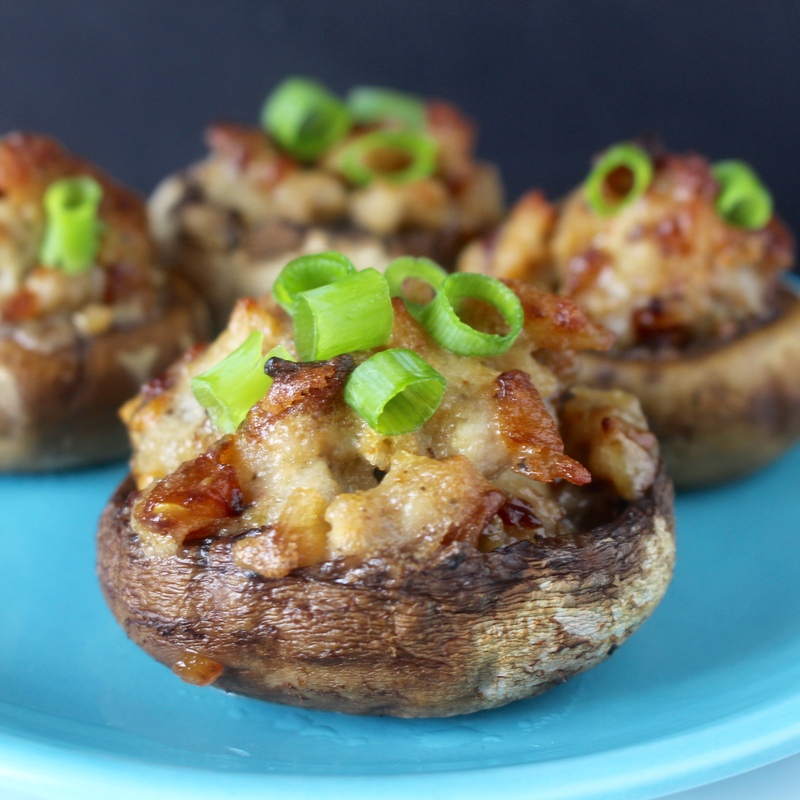 These Chipotle Stuffed Mushrooms are a kicked up appetizer that everyone will love. Sausage, Chipotle Mayo and onion make the best combination. Paleo, Whole30, gluten free and dairy free! I was so excited when Down South Paleo arrived at my door. It is such an amazing cookbook filled with so many delicious recipes- over 100 and all made grain free! It has breakfasts, main courses, side dishes, salads, snacks, desserts, and drinks- so everything is covered! When I asked my husband which one of the delicious recipes to share, there was no hesitation. These mushrooms appealed to him and he made a good choice. The only changes I made were I used my homemade sausage and chipotle mayo. I have a hard time finding chipotles in adobo without unhealthy ingredients, and I almost always have my chipotle mayo in the fridge so it worked great! I really wanted to list more, but those are at the top of my list. Okay, a little more about these mushrooms. 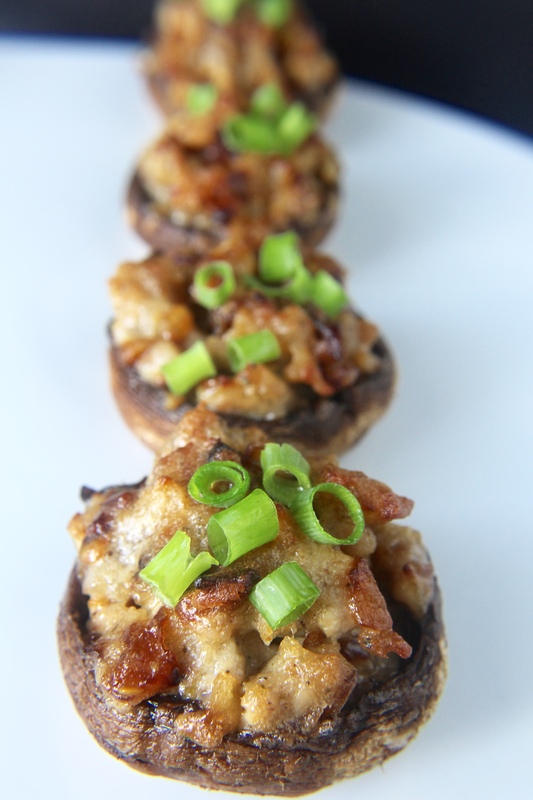 They were so easy- this was the first time I have ever made stuffed mushrooms and it definitely won’t be the last! 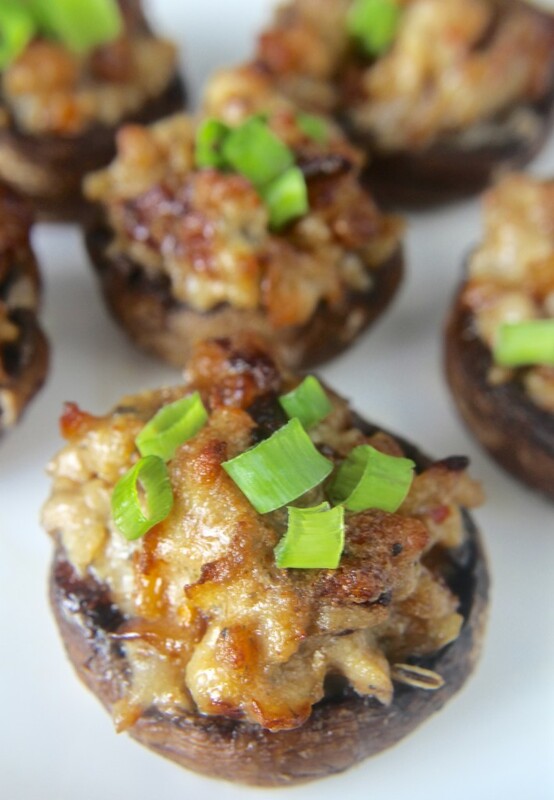 You could easily make the filling the day before and prep the mushrooms the day before to make them even quicker. 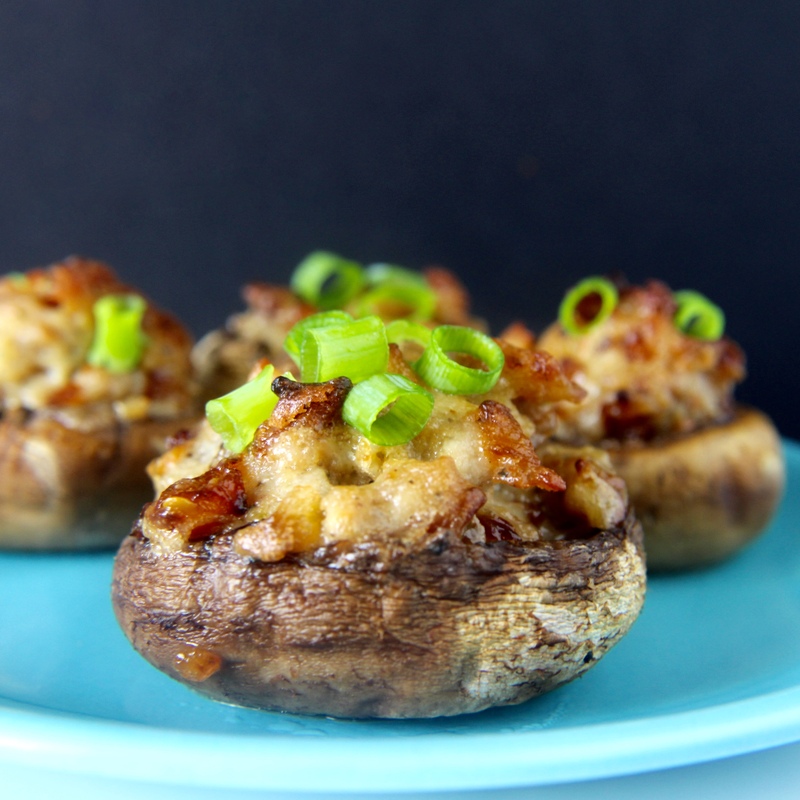 They work perfect as an appetizer for a party, but we actually ate them as a meal. They are so full of flavor and you won’t be able to tell they’re healthy. Don’t think because they have chipotle in them, that they’re super spicy. 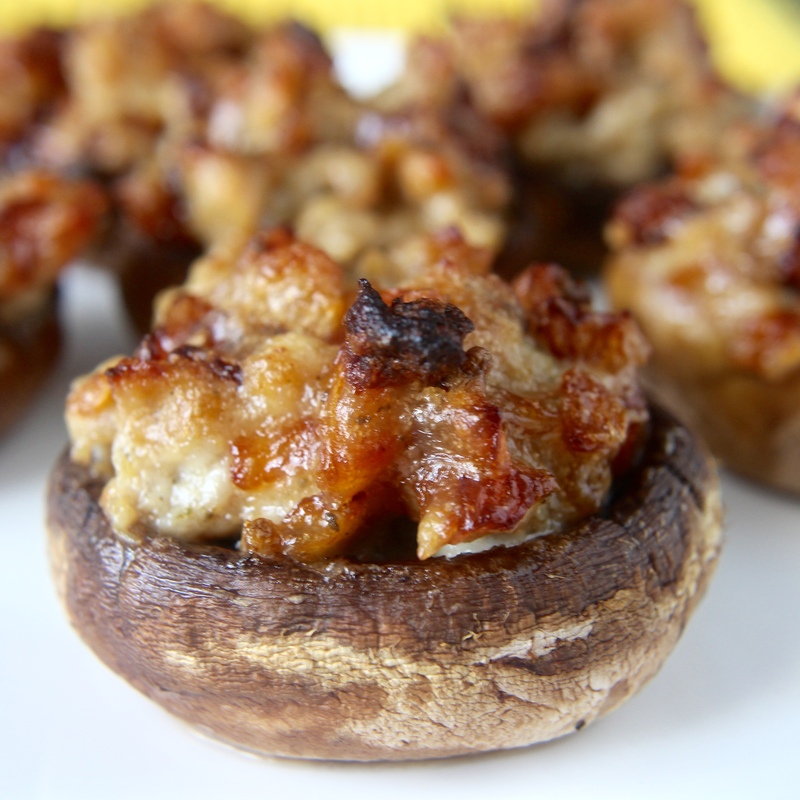 They have just a subtle hint of spice that is balanced with the sausage and mushrooms. Now for the giveaway!! I’m so excited to be able to give a copy of this book to someone to enjoy as much as I do. You will love it! Enter below- US residents only. And if you can’t wait- grab a copy now! The author of this book, Jennifer from Predominantly Paleo, has an awesome blog with so many great recipes! You should definitely check it out! I’m not a huge sausage fan so maybe I’ll throw some bacon in there instead. Either way, these look really good! Thanks for sharing!